Salem Alshdaifat’s attorney sent two letters on August 17, 2011 to complain that coins seized from his client were not properly cared for by Immigration and Customs Enforcement and to request an inspection of the items after an initial effort to examine the coins resulted in objections from federal officials. Alshdaifat’s lawyer asserted that his client possessed documentation to prove bona fide ownership of the property. The court treated the correspondence as a motion for return of property. A federal district court in Michigan issued an order on September 6 that recognized the issue as moot. That is because the US Attorney’s Office for the Eastern District of New York and Alshdaifat’s attorney reportedly reached an agreement to return the inventory. The terms of that agreement are unknown. • “ICE and CBP had decided to transfer custody to the ICE case agent in Brooklyn, New York all of the seized property from the four seizures of Mr. Alshdaifat's property that occurred in the Detroit area. 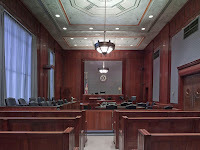 These include: (1) the December 20, 2010 seizure of ancient coins at the Detroit Metro Airport; (2) the December 2010 seizure of two mail packages that were voluntarily brought by Mr. Alshdaifat to ICE offices in Detroit and [an agent]; (3) the February 2011 seizure of a Federal Express package for export to Singapore; and (4) the July 13, 2011 seizure of thousands of coins and other property from Mr. Alshdaifat's . . . home.” (For information related to most of these seizures, see the September 23, 2011 blog entry here).